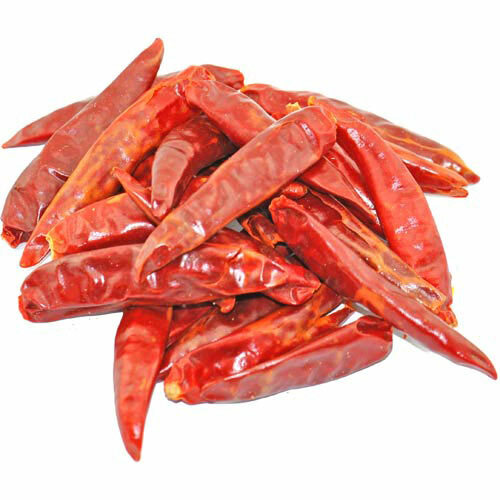 The Sichuan Facing Heaven Chili is one of the most popular chillies in classic Chinese cuisine. It bears its name because of its small upright, "looking to heaven" fruits. In the spicy-and-hot West Chinese Szechuan cuisine, it is mostly used whole dried. Traditionally, it is stirred in hot oil at the beginning of the cooking process in order to aromatize the oil. Its aromatic heat (20,000 SHU) with a light citrus note makes it ideal for poultry dishes and fish.